I want you to imagine for a moment that you’re at work. Wait, it gets better, I promise! 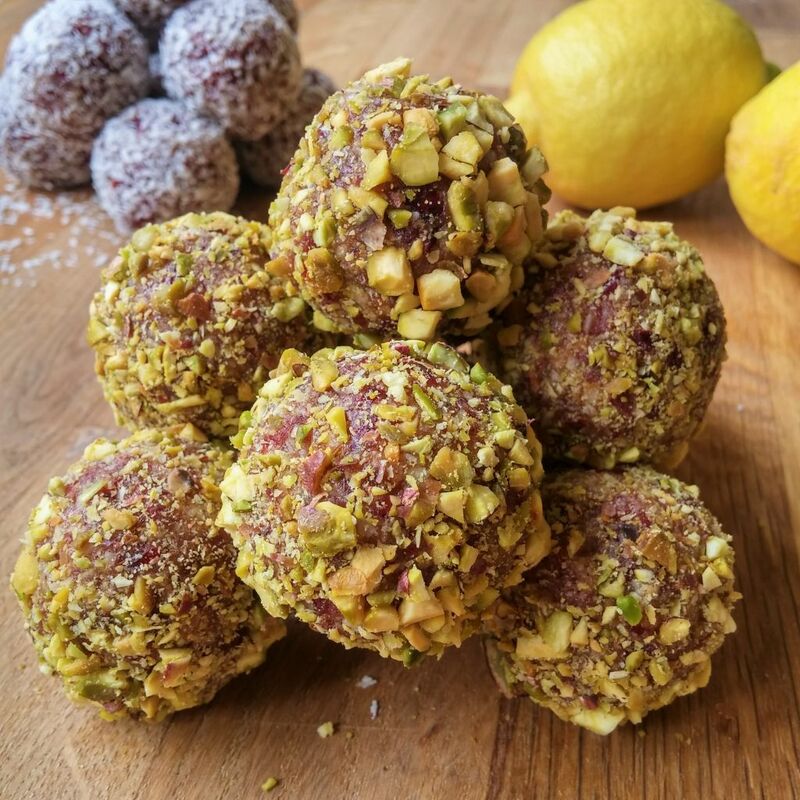 It’s time for your morning break, so you reach into your bag, and take out a container filled with scrumptious pistachio and lemon energy balls! 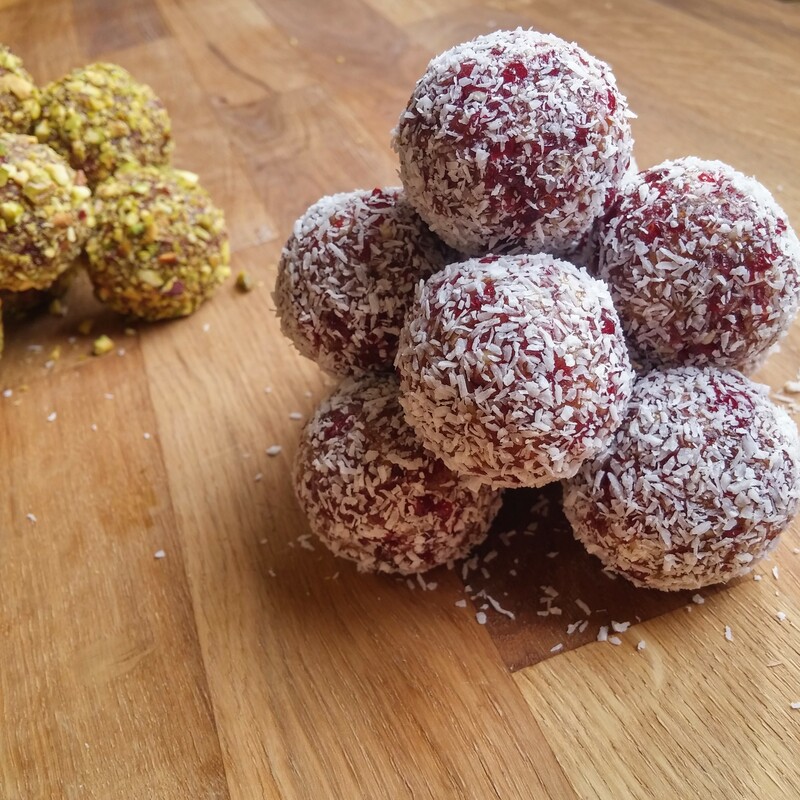 You’ll most likely have to hide these delights from your colleagues since they’re that good! In a *food processor, add the dates, and cranberries, and blend. Next, add the almond meal, and the lemon zest, and blend until all that goodness is combined. Finally, add the lemon juice and give the whole mixture a few pulses. Finley chop the pistachios and place in a small bowl. 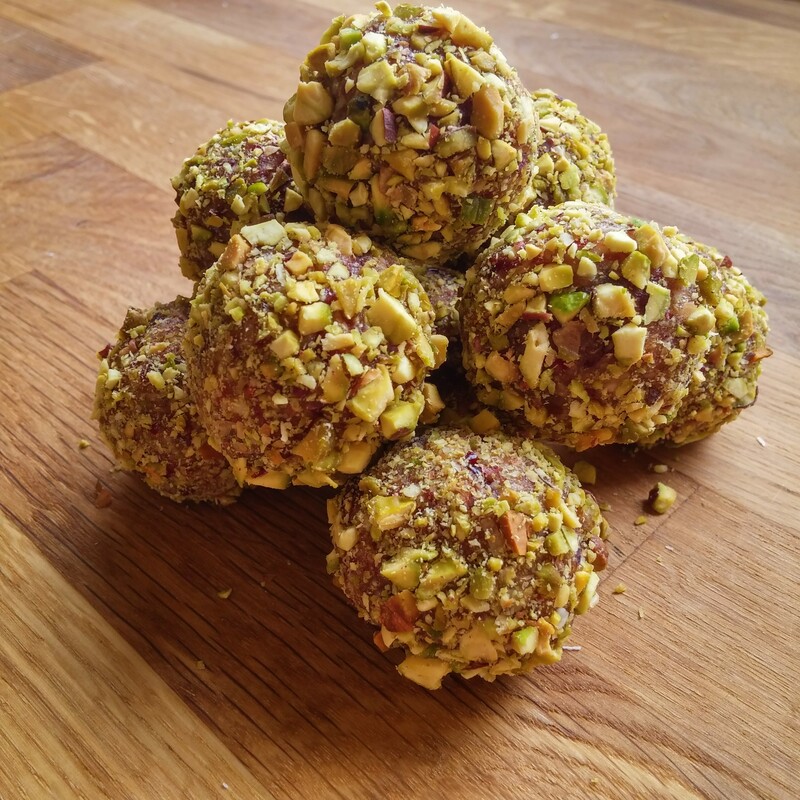 Next, roll your mixture into 10 even balls, then coat them in the chopped pistachios. Repeat until you’ve coated them all. Finally, transfer to the fridge for an hour, before you dig in! 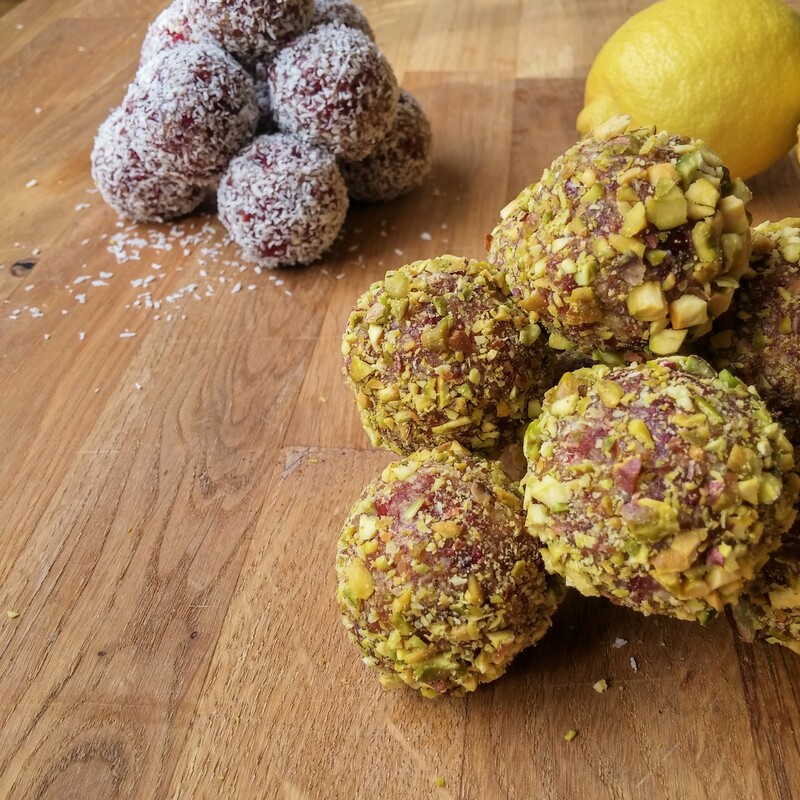 Have you tried my just as good, Scrumptious No Bake Energy Bites? They only have 4 ingredients! Plus, while I have you here. Have you checked out my Facebook page yet? Like it, so you’ll always stay up to date with my latest delicious recipes.